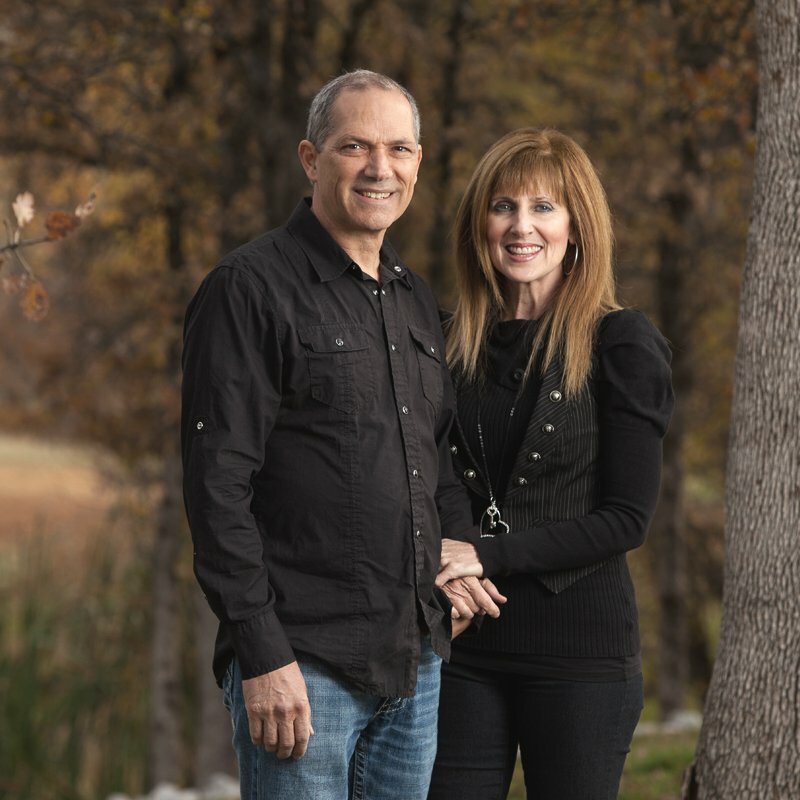 Barry and Lori have been married since 1979, and currently reside in Redding, CA and are on staff at Bethel Church. The delight of their lives are their 4 adult sons, daughters in law and grandchildren, who are all involved in various ways with their ministry. Graeme and Andrea Peak were married in October 2010 – their third marriage for both. They participated in their first weekly Love after Marriage workshop before their first wedding anniversary and have been involved ever since. LAM initially brought and continues to bring them both incredible breakthroughs personally, in their relationship, and within their family. Graeme and Andrea have 5 adult children and 10 grandchildren (also a a little dog named Bella). Graeme has his own business in Aged & Disability equipment, servicing the Melbourne metropolitan region. After 25 years as a midwife, Andrea is now helping Graeme in the business. In their free time, Graeme and Andrea love to go cycling together on the magnificent bike tracks around Melbourne and rail trails in country Victoria, caravanning and camping. With three trips to Bethel and NHM Spirit Connection trainings, they feel a deep connection with the NHM community and family and are passionate about bringing freedom to marriages and families in Australia. David and Ruth Watson were married in January 1971. They are blessed to have two married daughters, a married son and a single daughter and seventeen grandchildren – so far!!! They have spent many years ministering to people of all ages and while that ministry brought its rewards, their marriage suffered because Godly boundaries were lacking. In 2014, while visiting their youngest daughter, a BSSM student in Redding USA, they attended a Love After Marriage five day intensive resulting in a journey of challenge and change which continues until the present. In 2015, they returned to Bethel to attend a Spirit Connection intensive and were so blessed that they felt compelled to share with Brisbane couples the wonderful news “that heaven wants to help” those who long for more in their marriage. In the courses they’ve run so far, the breakthroughs have continued and it has been a great joy to see other couples also receive the restoring and healing touch of Father. Simon and Sharee were married in 1994 and have four children. They first attended Love After Marriage in 2012 following a season of relational challenges. They are experienced in facilitating both LAM1 & LAM2. Love After Marriage equipped them with the tools for building intimacy and connection, taking their relationship from hurt to wholeness. The breakthrough was two-fold, with their family also being impacted in a powerful way. In partnership with Holy Spirit, Sharee and Simon are committed to not only deepening their love and intimacy but to seeing other couples experience the restoration and emotional, spiritual and sexual oneness that is possible with God. Dave & Lisa have been married for 20 years and have 3 children. They live in beautiful Kingscliff on the Queensland and New South Wales border. Both have been involved and served in the church for over 30 years, and have a passion to see lives changed. They believe that their ministry is to see marriages strengthened, so decided to attend a LAM Workshop in Redding, California in 2013. Dave and Lisa have been involved in facilitating LAM Workshops since returning and recently broadened their calling to include singles and are now facilitating the Single Life Workshop. Both have a passion to see all relationships strengthened and individuals positioned for healthy, Godly marriages. They love to see Holy Spirit move and bring about healing and restoration. Branko and Sue Maric were married in March 1994 and have three children, two adult girls and a teenage boy. They attended their first Love After Marriage weekly workshop in Feb 2016 and have seen tremendous breakthrough in their own lives and the lives of their family. Based in Melbourne, Branko is the National Sales Manager of an international IT company and Sue is ministering in a local inner city church. The tools and skills that they have learnt through the workshops have been so effective that they have integrated them into their everyday lives. They have seen the Holy Spirit do incredible things in marriages both in the weekly workshops and the intensives and feel both humbled and blessed to have been able to facilitate in these workshops. They long to see marriages set free to be all that God intended and know that nothing is impossible with God. Eugene and Anna were married 2012. Since then, they had gone through a lot of pains and struggles that were from broken family and past wounded experiences. They attended a LAM workshop in 2016 and experienced restoration and breakthrough as a couple. They are experienced LAM1 course facilitators. Through the journey, they have become one and ruling their family with Kingdom mentality. Their deep heart’s desire is to restore the marriage and individuals to invade Kingdom into their lives. They are currently preparing to enter into full-time theological studies as they pursue their pastoral calling to help individuals and couples to have a better and intimate relationship with God. Eugene and Anna enjoy outdoor camping and love taking their dog, Danbi on their regular brunch tours. Anna loves spicy food so she always includes Thai chilli in her food and Eugene is a real food lover, naturally drawn to all kinds of good food. They have been involved in Ministry for over 20 years working with People who struggle with Life Controlling issues such as addiction. They first attended a LAM Intensive in July 2014 and were profoundly impacted by the depth and honesty that LAM brought about. They thought they were simply going to the Intensive to support another couple and would receive a tune up for their marriage. What they received was a complete life-changing overhaul. It was after this that their desire increased to see couples and families walk in the freedom that is available thorough this Holy Spirit led course. They still use the Lam tools and desire to both continue to have a Godly, Spirit Led marriage that is a witness to others. Stefanie has worked in the medical industry for 9 years. Currently she is a Patient Service Officer in one of Melbourne’s major hospitals working with cancer patients who are going through treatment. Stefanie has a passion for people and through her caring nature, is able to walk with and help people understand themselves better. She has a deep desire to see people live from their true identity and to see people live a life of authenticity. In her spare time she loves spending quality time with friends and has recently started learning to snowboard.